Beat butter and sugar together in a mixing bowl until creamy. Add egg, vanilla and milk and mix until incorporated. Slowly add flour, baking powder and salt. When combined add orange zest. 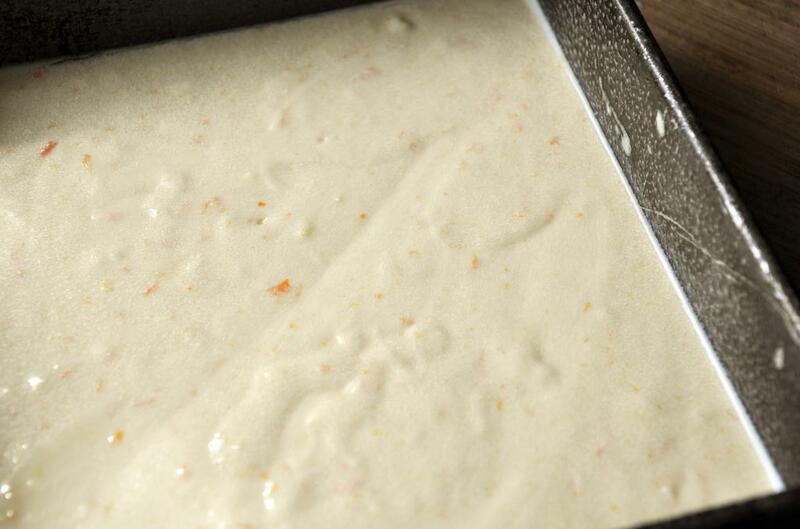 Pour batter into a cooking spray lined 9x9 baking dish. Bake 30 minutes until knife comes out clean (dip into the center of the batter). Remove from oven and let cool in pan on a wire rack. Meanwhile, heat water, brown sugar, orange juice, cinnamon stick and salt in a small pot over medium heat. 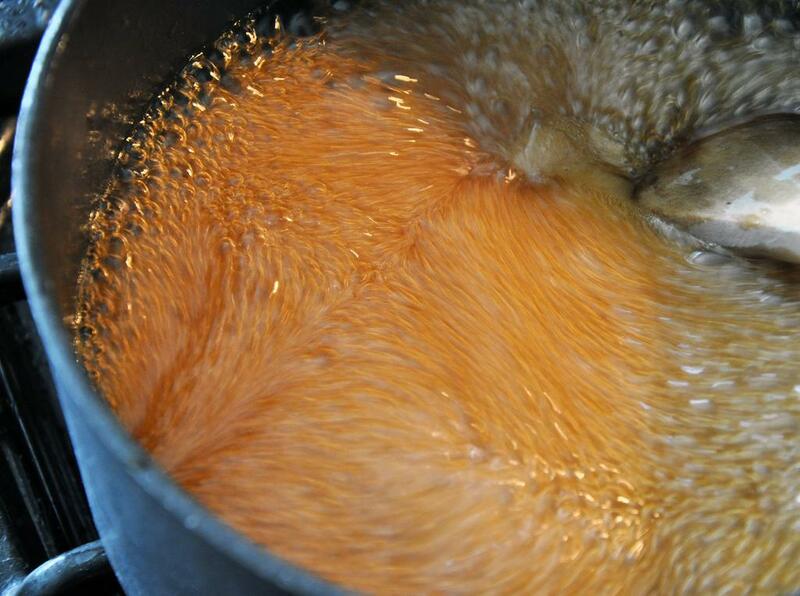 Let simmer during the 30 minutes of baking. Depending on how thick the sauce is (or how thick you want it), add up to 1 Tbsp of cornstarch by spooning some of the hot sauce out, whisking the cornstarch in, and then pouring the mixture back into the pot. When it has reached desired thickness, remove from heat and add in Grand Marnier. 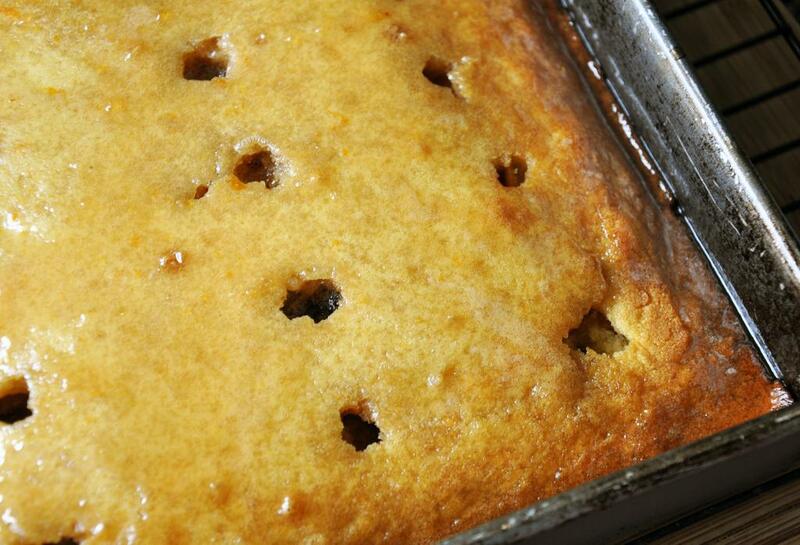 Make 10-12 holes in the top of the cake (still in pan). Pour Grand Marnier sauce all over the top, making sure it goes into the holes. Wait 10 minutes for the cake to adsorb the sauce. 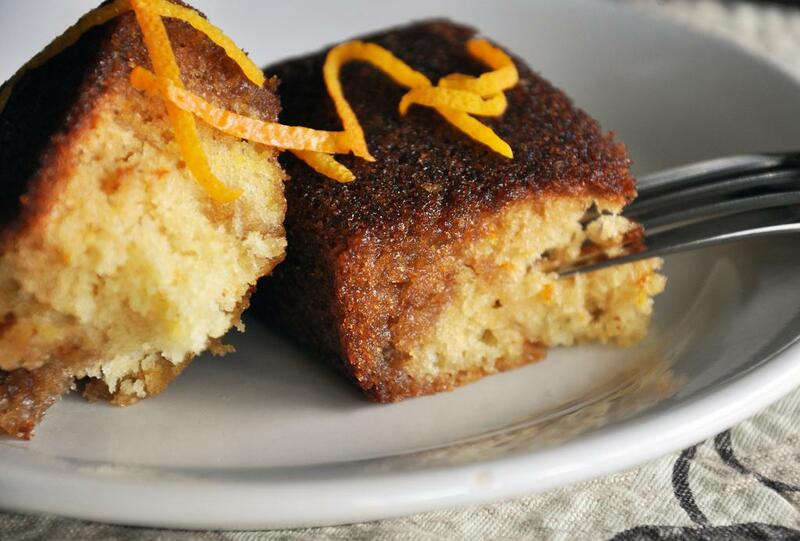 Turn cake onto serving platter and cool or cut and eat warm.